In the past two years UK universities have frantically prepared their submissions to the sector-wide assessment of their research prowess and output, the Research Excellence Framework, or REF. They have evaluated research outputs, written about their research environment and strategy and poached star researchers from other in institutions to make themselves look good on paper. The REF submissions are being evaluated as I type and the next two years are likely to be spent dealing with the fall-out once results are announced. In the current pause between those two bouts of frantic REF-related activity, I stumbled across a voice from the past that, as so infuriatingly often, succinctly and authoritatively dealt with a key issue this round of REF posed for the first time: that of the relationship between academia and its non-academic context – let’s call it society. In the current round, REF assesses not only academic output as such, but also its impact, i.e. the effect this output has had on society more broadly. Submissions to REF had to demonstrate how universities’ research translated not only into world-class publications, but also into new products and services, changes to policy or to public awareness. To cut the story short for the international audience: this new requirement instigated a tidal wave of debate, discussion and frustration about the legitimacy of the request as such and the mechanisms for rigorously demonstrating the impact of academic thought on practices elsewhere in society. Impact became UK-academia’s i-word, unfortunately without the sleek style of a Steve Jobs product but unfailingly with immediate impact of its own. Sighs, groans and rolled eyes as a response to the i-word have quickly become the most universally accepted cause-effect-relationship amongst even (or in particular?) academics dedicated to interpretative epistemological paradigms. Funny that, really, as impact asks a question academics should relish to engage with: what are we doing here, what is the nature and point of this experience, how and why is all this happening. It is difficult to imagine questions that could be closer to the heart of true ivory tower-type deliberations. 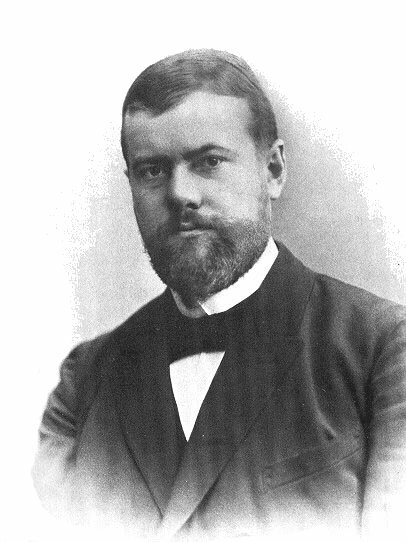 And of course academia has indeed been here before, most prominently in the writings of one of the founding fathers of sociology and organization studies, Max Weber. In 1919, Weber delivered his lecture Science as a Vocation– in German Wissenschaft als Beruf – and aimed at all those working at universities, not only in science in whatever narrow sense (vocation is also not a good translation either; profession would have caught the essence of Beruf more accurately). In his lecture Weber engages with criticism voiced from that other camp of notorious dissenters in society, arts and culture, in this case represented by Russian writer Leo Tolstoj. Science and academia, Tolstoj proclaimed, are useless as they do not offer answers to central questions such as “what shall we do?” and “how shall we live?” True, barks back Weber ex cathedra, science or academia do indeed not provide answers to such prescriptive questions, because that is simply not their role. He then proceeds to explain three ways in which academia does engage societally usefully with its non-academic context. Or, as UK academia would have it today, three ways in which it can generate impact. Firstly, Weber points out that academia provides knowledge and tools that others may then apply. Weber uses technology and medicine as examples, and the point is possibly a bit less easy to make for more recently developed disciplines such as organisation studies or the sociology of work (if only an audience member had challenged Professor W. to elaborate this point using his Protestant Ethic and the Spirit of Capitalism as an example – the i-word debate for the REF category Business and Management might have been spared a lot of headache). But the impact of organisation and management studies onto society more broadly is certainly easy to demonstrate where it has gone wrong, for instance where what academics have identified as ideal-typical management practice in for-profit organisations has been prescriptively applied to management in the not-for-profit and public sector, without due regard for the specificities of these areas and wreaking havoc on worker motivation and, in management speak, outcomes and performance. But, to stay in a Weberian line of thought, the fact that the useful provision of knowledge and tools to society outside academia is less obvious for some academic disciplines does not mean that the possibilities of such provision do not exist – at least as an ideal type. Secondly, Weber points out that science offers methods of analysis and criteria for assessing whether a line of thought is logical and consistent. This seems to me to be a very timely offering that academia has to make. Engagement with practitioners and policy-makers is often through the research functions of businesses, not-for-profit organisations and public bodies, their R&D department or in-house research units. Quite naturally (and often justifiably), much of these units’ research is driven by specific organisational interests and routinely uses a set range of methods to address an often equally set portfolio of questions. Practitioner research, as I have observed for instance in the arts and culture, can also follow what I would cautiously call “home-grown” methodologies and intuitive paths less shaped by meta-reflection. Academic research, especially of social science background, can offer additional ways of perceiving, articulating and communicating non-academic practice. It can offer new methods and insights and develop appreciation for ideas such as consistency, reliability and validity. Weber’s third point is a much grander one. Academic research, he argues, is or at least should be objective, detached, disinterested and apolitical. It therefore offers its findings regardless of whether they will be welcome or will make for an uneasy truth. In so doing, Weber argues, academics offer practitioners the opportunity to obtain clarity, to think through the consequence of their actions and to take responsibility for their actions. As an independent voice or outsider, academics can often more easily offer less palatable accounts of reality and point towards possible, but uncomfortable solutions. They can do that in a non-prescriptive, but encouraging way. They can be a critical friend and even build in-house capacities for a less interest-driven, detached reflection on processes and practices. At the sharp end of business practice such in a positive way disinterested approaches, unconstrained by organisational politics and feasibility fetishs, have been hailed as most likely to invoke the holy trinity of innovation, creativity and competitive advantage. Which begs the questions why academics, especially in organisation and management studies, still feel the need to cuddle up to client’s interests instead of properly communicating the real value of delivering uncompromised and possibly uncomfortable food for thought. The potential to increase clarity, awareness of consequences and ability to take responsibility that Weber identified should certainly be sales pitch enough – and an opportunity to generate genuine impact in a way that aligns with academic principles and values. Weber does point out though that science and academia can only offer such clarity if they are themselves clear about their practices, processes and point in life. The REF’s impact requirements instigated a debate in that direction, but one that is in danger of becoming too narrowly focused on REF and of afterwards become confined again to those who research higher education. Unfortunately, at least in Science as a Vocation, Weber did not challenge Tolstoj and the arts and culture to a riposte about what they are good for (a question on which both Weber’s and Tolstoj’s thoughts might again provide welcome input today). With the benefit of hindsight though we can certainly credit Tolstoj with prompting reflections that are useful for all of those who understand themselves as professionals in academia and science. As Weber points out, without clarity about what we are doing here we are unlikely to succeed and to have, in the true meaning of the word, impact – in REF and in our academic practice more generally.